Sacramento, CA, November 27, 2018 –(PR.com)– On December 1, 2018 from 11 a.m. to 12:30 p.m. in the Stewart Hazelton meeting room of the Cesar Chavez Central library in Stockton California, new author Michael Foster will discuss his middle-grade adventure novel, “The Passage At Moose Beach.” The book was published in November, 2018 and has already been embraced by parents, teachers, and students alike. 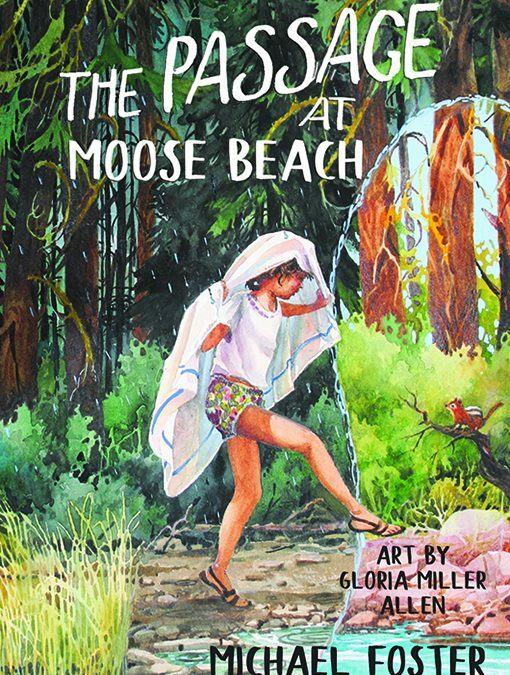 “The Passage At Moose Beach” is “an enchantingly magical tale about finding friends in the unlikeliest of people and working together with them to achieve your wildest dreams,” says 7th grade student Emily Burroughs. In the story, eleven-year-old Alicia encounters unusual, surprising friends and terrifying enemies as she embarks on an unexpected and magical journey in nature. While enjoying the lake with her father, as they do every year, she gets lost during a rainstorm and ends up transported to a different and unfamiliar place with no idea where she is or how she got there. The story takes the reader to a land not so far from home, yet farther than imagined, perhaps another realm. Alicia sets out on a difficult journey to try and discover a way home, finding compassion and friendship along the way. She meets a squirrel named Mickey, a jay named Briar, and Fiona the enigmatic deer, who help her fight terrible foes. They come face to face with Bristleback, the fearsome mountain troll who, in the end, inspires Alicia. These friends help each other in every way imaginable through moments of adventure and terror. Though Alicia and her friends help each other overcome crippling fear, can they find a way to stop “The Drying” which threatens them all? Michael Foster works full time for a major tech company and loves writing and time with friends and family. As a child, Michael’s family spent long summers at their cabin in Idaho built by his maternal great-grandfather in the late 1920’s, Every year Foster, his brother, and two sisters would endlessly explore the vast Boise National Forest around the cabin and lake calling himself a “free-range child.” His mother says she seldom knew where he was as his inquisitive nature kept him out and about, always exploring. 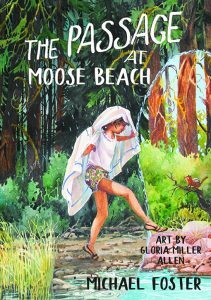 The family cabin inspired the story which is illustrated by Idaho artist Gloria Miller Allen. Allen has painted all her life, but out west, painting became a passion. From Mid-America and from Coast to Coast she has enjoyed and struggled with paint. In 2006 she received her signature membership in the American Watercolor Society (AWS). In 2012 they flew to California where she received her signature membership in the National Watercolor Society (NWS). She also earned recognition from the Artists USA (KA) and the Northwest Watercolor Society (NWWS). She is now working on Plein Air achievements as a new goal. Z Girls Press is a full-service Indie Hybrid publisher located in Sacramento, California. Z Girls Press is the fiction imprint of Calling Card books. Our Mission is to create books that Educate, Inspire, and Inform. Our Vision is that our books help the general welfare of the reading public by working with authors whose message can transform lives. Order copies at www.callingcardbooks.com, bulk orders welcome, discounts available contact publisher. What’s Total Area Coverage (TAC) and why does IngramSpark care?